Dozens of flat screens, breakfast all day, and friendly staff, this is the place to come watch the big game or grab a bloody to cure your hangover. 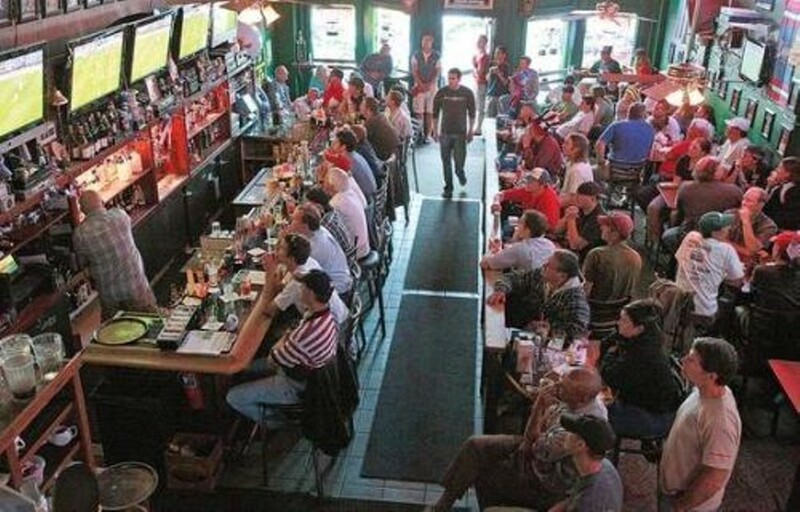 With a huge pub menu, it's a favorite Bend sports bar, to be sure. The spacious two-level bar and grill on Wall Street offers a reliable pub-style menu during lunch and dinner with an ample selection of burgers, sandwiches, wings and other items. One of the highlights of this longstanding establishment is their breakfast menu that’s super popular with the locals who want to catch the early games and fill up on the big portions Sidelines is known to dish out. If you’re downtown on a fall Saturday or Sunday and you want to see a football game, there’s one place where you can be almost certain that your game will be on, and that’s Sidelines. • Drinks: $2.75 domestics, $4 micros, $4 wells, $5 wines. Food: Assorted Happy Hour menu $6 and under. • Assorted Happy Hour menu $6 and under. $2.75 domestics, $4 micros, $4 wells, $5 wines.